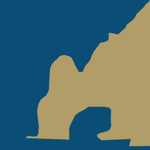 In late August, we launched our newest project – the All About Cabo Forum. We invited our friends and followers to enter a contest in which they had the opportunity to win tour vouchers to Cabo Expeditions. Cabo Expeditions offers great whale watching, snorkeling and other tours in the Cabo area. 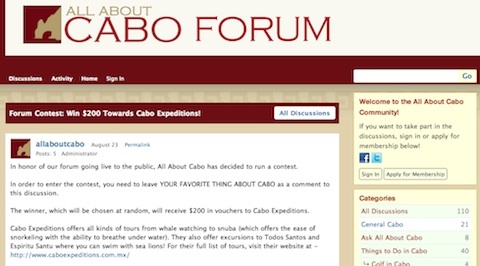 To enter the contest, forum members were asked to share their favorite thing about Cabo. Stacey will be receiving $200 in Cabo Expeditions vouchers. Congrats Stacey! You can see more reasons people love Cabo here.